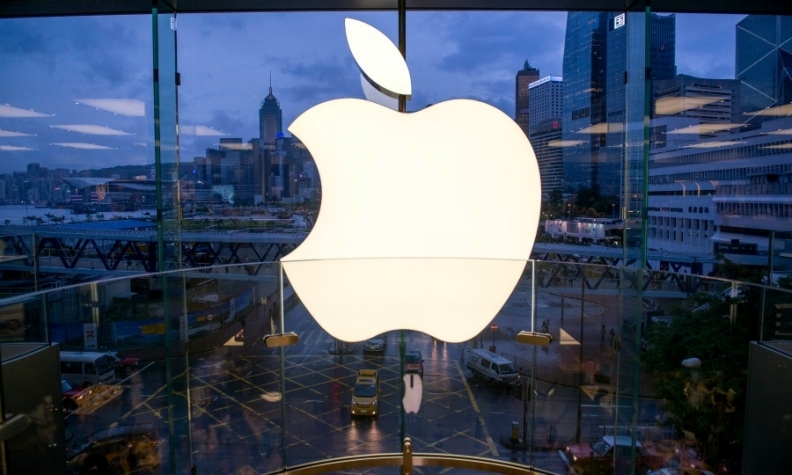 SAN FRANCISCO (Reuters) -- Electric-car battery maker A123 Systems has sued Apple for allegedly poaching top engineers to build a large-scale battery division, according to a court filing that could offer further evidence that Apple is developing a car. Apple has been recruiting engineers with deep expertise in car systems, including from Tesla and is talking with industry experts and automakers with the ultimate aim of learning how to make its own electric car, according to numerous news reports last week. Around June 2014, Apple began aggressively poaching A123 engineers tasked with leading some of the company's most critical projects, the lawsuit claims. The engineers left to pursue similar programs at Apple in violation of their employment agreements, A123 said in a filing earlier this month in U.S. District Court in Massachusetts. "Apple is currently developing a large-scale battery division to compete in the very same field as A123," the lawsuit read. The suit was reported earlier by legal website law360.com. Neither Apple nor A123 immediately responded to requests for comment and Apple has not responded to the allegations in the complaint. The battery maker also sued five former A123 employees, who could not be reached for comment. A123 Systems is a pioneering industrial lithium ion battery maker, which was backed by a $249 million U.S. government grant. It filed for bankruptcy in 2012. It emerged from bankruptcy in 2013 under the ownership of Chinese supplier conglomerate Wanxiang Group Corp. and made sweeping business plan changes. It expected to generate positive cash flow in 2014. Lithium ion is a battery technology that can be used in applications from computers to airplanes, but A123 specializes in big batteries that can be used in big machines, including cars. A123 did not say what specifically the engineers worked on. The company said in its lawsuit that the engineers who left were of such caliber that the projects they had been working on had to be abandoned after their departures. It also accused one of the five defendants, Mujeeb Ijaz, of helping Apple recruit among its ranks. "It appears that Apple, with the assistance of defendant Ijaz, is systematically hiring away A123's high-tech PhD and engineering employees, thereby effectively shutting down various projects/programs at A123," the lawsuit said. "They are doing so in an effort to support Apple's apparent plans to establish a battery division that is similar if not identical to A123's, in competition with A123." In its complaint, A123 said it believed Apple was looking to hire other battery engineers from companies including LG Chem Ltd., Samsung SDI Co., Panasonic Corp., Toshiba Corp. and Johnson Controls. None of the companies immediately responded to requests for comment. A123 added that former executive Ijaz also contacted its battery partner SiNode Systems on behalf of Apple. Ijaz's outreach to SiNode "confirms that his work on behalf of Apple is at least substantially similar (if not identical) to his work at A123," the filing said. SiNode did not respond to a request for comment. Trying to build an actual car would mark a dramatic shift for the maker of the iPhone and iPad. Apple often researches projects which are then discarded, but has so far mainly stuck to its core expertise in mobile and electronic devices. Whether it will build and release an electric car or a more evolved autonomous vehicle remains to be seen, a source told Reuters last week. But evidence is mounting that the maker of smartphones and other mobile gadgets is, like Google, researching and developing next-generation car technologies. Silicon Valley is competing to create software to run self-driving vehicles, as well as services associated with autonomous driving, such as mapping, car-sharing and car-recharging services. Data on LinkedIn, the professional networking site, shows that Apple has been siphoning up automotive engineers and experts, many with expertise in autonomous driving technology, at a significant pace. A search of LinkedIn profiles turns up more than 60 former Tesla employees now employed by Apple, including dozens of hardware, software, manufacturing and supply chain engineers. There are also a variety of ex-Tesla recruiters, retail or sales specialists, attorneys and product managers. Apart from the five defendants, at least six other ex-A123 engineers had moved over to Apple, according to their LinkedIn profiles, though with titles like "Technical Program Manager," their duties at Apple are unclear. Automotive News contributed to this report.